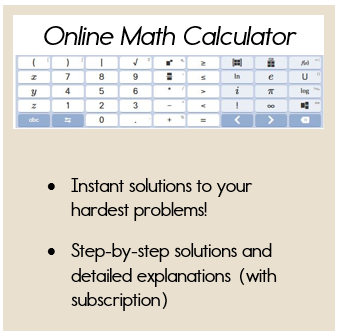 Solving equations with absolute value is a more advanced skill. However, with these step by step examples, you will have no problem mastering this skill. 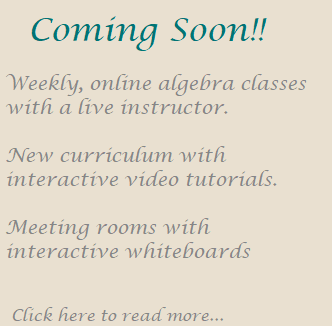 If you haven't already studied the first lesson on solving absolute value equations, please start there to learn the basics. 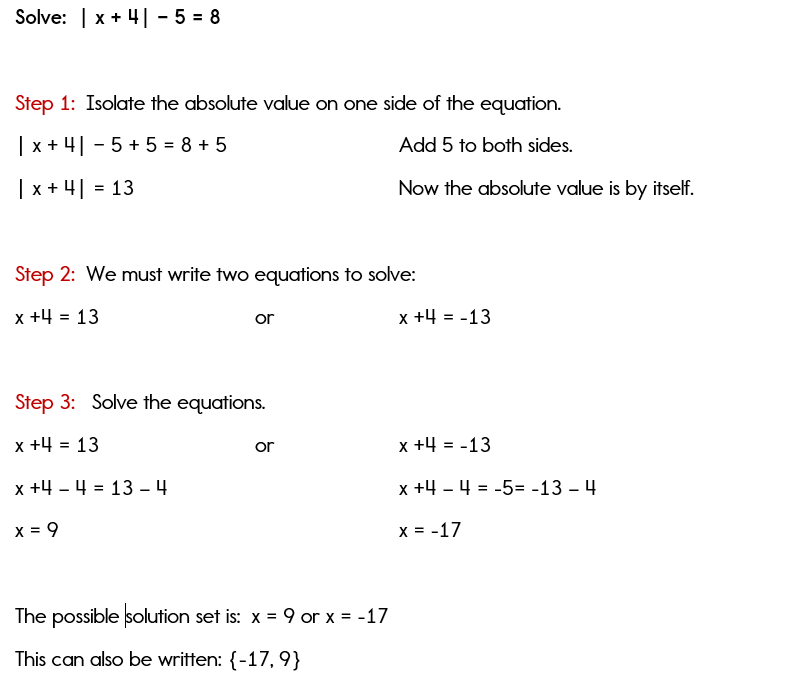 For most absolute value equations, you will need to write two equations to solve. Therefore, you will most likely end up with two answers to the equation. The answer to an absolute value equation can never be negative. Therefore, if you end up with a scenario such as: |x-4| = -3, the answer to this would be the empty set. 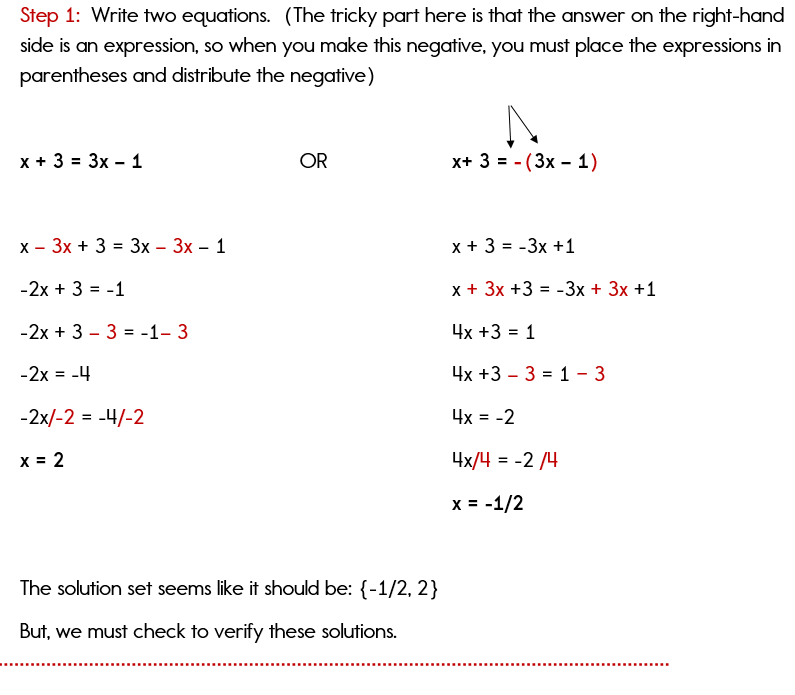 It's very important to check your answers to all absolute value equations because even if the correct procedure is used, the answers may not be solutions to the equation. 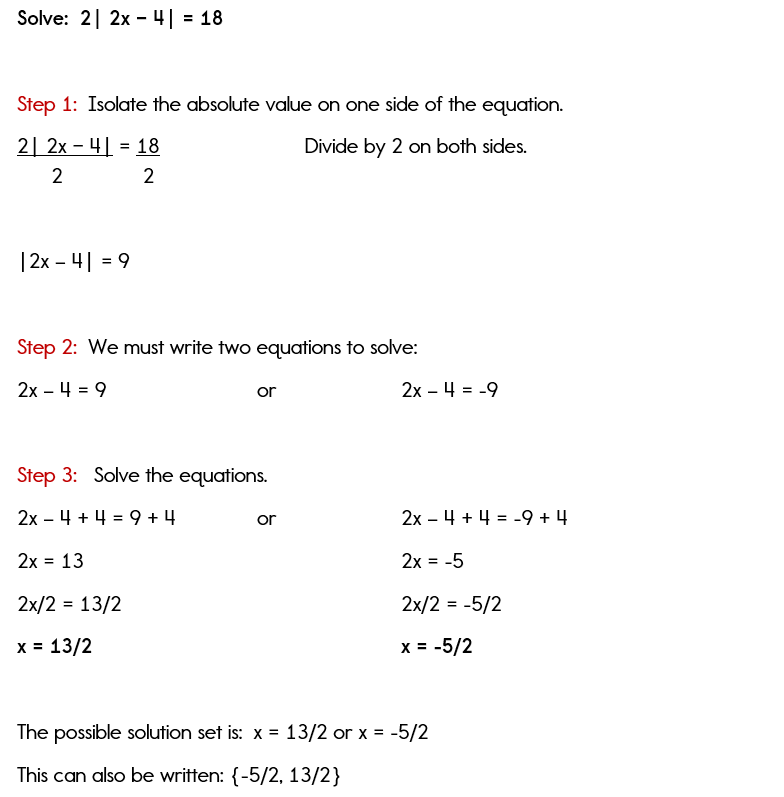 Take a look at the following example, which will demonstrate how only one solution is the correct answer to the actual equation. Pay careful attention to how we arrive at only one solution in this example. Ok, so now you understand why you must check your answers to every equation with absolute value. You never know when one of those solutions is not going to be an actual solution to the equation. Now we are going to take a look at another example that is a little more complex. Before you split the equation into two equations, you must make sure that the absolute value expression is by itself on one side of the equation. So, now let's take a look to see what we will need to do in order to isolate the absolute value on one side of the equation in order to prepare for solving the equation. Watch carefully to see what step I take first in solving this equation. Hopefully you were able to understand why we had to add 5 to both sides of the equation before writing our two equations. The absolute value MUST be by itself on one side of the equation before splitting into two equations. We are going to take a look at one more example. In this lesson, I hope that you have realized that you must isolate the absolute value expression before writing your two equations. I'm hoping that you also understand the importance of checking your answers to verify that the solutions are actual solutions to the equation. Good luck in your study of equations.